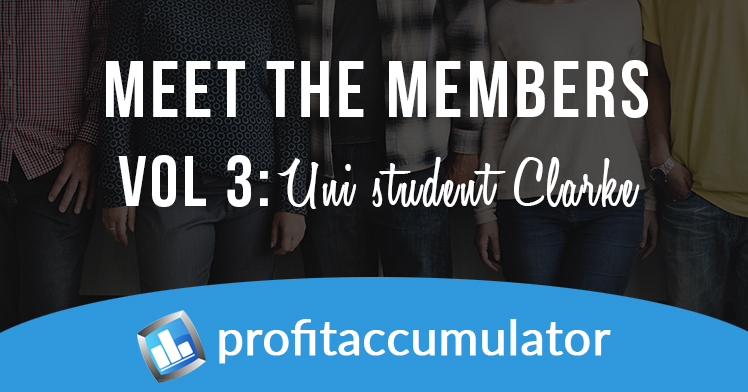 Profit Accumulator is home to thousands of members who earn cash through matched betting every month. We have a thriving forum, where users share tips, advice and chat, as well as a large following on social media. Here, we find out a bit more about one of our members. My name is Clarke, from Co. Down, Northern Ireland. I'm a student at Loughborough University, studying Aeronautical Engineering. 1. How did you hear about Matched Betting? I first heard about matched betting by Googling "how to make money at uni" just before starting university. I did bits and pieces myself for a while until a friend told me about PA. When I checked PA out I ended up joining right away, this was in Summer 2015. 2. How long have you been Matched Betting? I've been matched betting with Profit Accumulator for about 18 months now. 3. 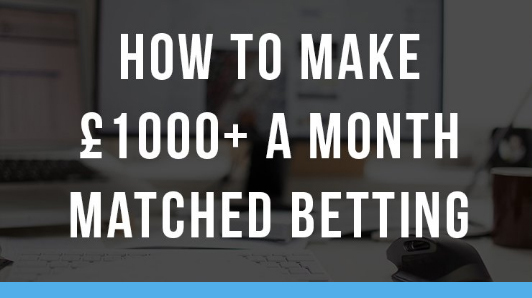 What's your total earnings through Matched Betting? In total, I've earned around £14k. £10k of that was during my first year with PA.
4. Most you've earned in a month? The most I've earned in a month is approximately £1,500. This was during July 2016 when the Euros and Glorious Goodwood horse racing festival was on. During Goodwood festival, I made £800 in a week on horse racing alone - it was a crazy month! 5. How much do you earn consistently each month? It varies month to month, depending on what sporting events are on, but on average around £800 per month. My monthly profits generally range from £500 to 1,500. My biggest single win was a £500 correct score bet when England beat Wales 2-1 in the Euro 2016 with an injury-time winner. Cheers, Sturridge! 7. Did you find it hard at the start? A lot of people are sceptical or think it's too good to be true - I can guarantee it's not! At the start it can be time consuming. You want to make sure you've done everything right so you can lock in the profit. However, the more familiar you get with the process, the quicker you get and therefore the greater potential you have to earn money. What took 30 minutes at the start can now be done in less than two minutes. Another difficult concept can be parting with the money to place and lay the first bet - it can be daunting! But once you see you've made your first profit risk-free, you realise you've nothing to worry about. I look at is as an investment that pays back massively in the long run. 8. How many hours a week do you spend Matched Betting? Usually around 10 to 15 hours per week, but most of these hours are spent on a weekend. Saturdays are a big day with plenty of sport on. On weekdays, it's around an hour per day - which is perfect for me as I can get it done in between lectures! I look at is as an alternative to a part-time job - earning money while watching football and horse racing is a lot more appealing to me! 9. What have you bought with your earnings? Initially matched betting was a way to get me out of my overdraft after a enjoying a good first year at uni. I looked at is as an alternative to a part time job, which would have worse hours and pay less. I managed to get out of my overdraft within a month of starting and since then I haven't looked back! It's funded four separate trips around Europe, including Eastern Europe and Italy, as well as numerous weekends away. A friend and myself earned nearly £1000 between us during Cheltenham, alongside a £900 casino win, which funded a 10 day trip to the Balkans during Easter last year. I've also been able to have a very comfortable student life which is always a plus. 10. Would you introduce Matched Betting to others? Yes, definitely. I initially introduced it to a few close friends, but have since been promoting Profit Accumulator through the affiliate scheme. I'm never done raving about it and honestly don't know why more people don't do it. Yes it takes time, but when you work it out, the average hourly rate can be very high. 11. What would you say to a Matched Betting newcomer or someone looking to start? 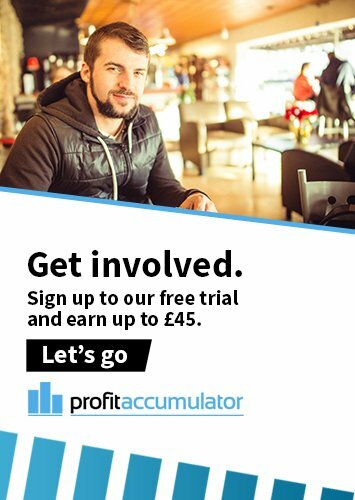 I would highly recommend signing up to the free trial with Profit Accumulator. They have all the information needed to start, including full written and video walkthroughs explaining what to bet on, how much to bet, and how much profit will be made. Up to £45 can be made by the free membership, which is enough to cover your first two months full platinum membership. If you don't like it, you can stop there. However when you start making hundreds of pounds a month, l can't see why anyone would stop! 12. Have you used Acca Catcher and Match Catcher? If so, what do you like about them? I earn most of my money from Horse Racing, so Match Catcher is a great piece of software for me. I set it up on a Saturday morning and it finds all the bets for me throughout the day, so I can get on with something else. It pays for itself in one day, so it's well worth it in my opinion. I used the Acca Catcher trial and it was also very good, and plan on upgrading to Acca Catcher next month to maximise my earnings. 13. What's your favourite thing about PA? My favourite thing by far is the forum. Having a community of like-minded matched bettors is extremely helpful - 99% of the time any queries you have can be answered by the forum. It is also the source of a lot of information on reload offers - a massive part of matched betting to keep you earning consistently. The amount of content provided is also amazing, and having a full walkthrough for every bet is extremely helpful. You really can't go wrong if you follow the process step-by-step, which is provided every time by profit accumulator. The affiliate scheme is also very rewarding.